You are here: Home / 1. Visa / 1.1. 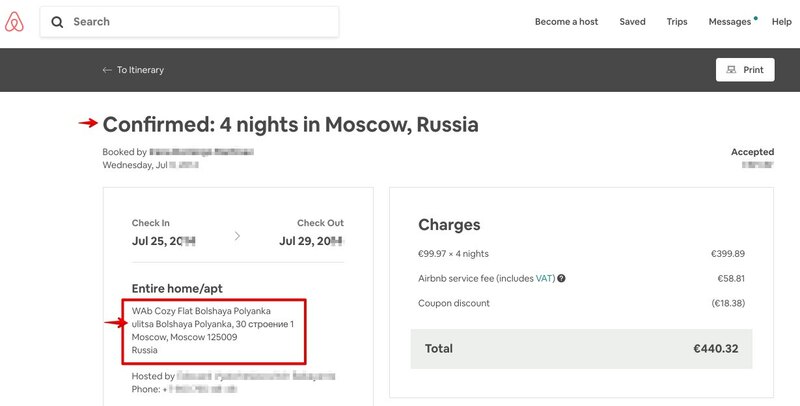 Invitation to Russia / How do I get the invitation to Russia if I’m staying with Airbnb? 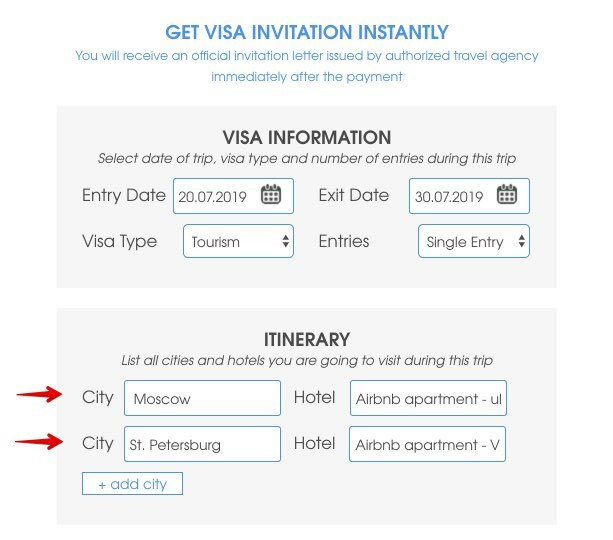 If you have booked or are booking your accommodation in Russia through Airbnb (or similar apartment rental platforms) and you need an invitation letter to process your visa to Russia, there are different authorized Russian tour operators that will allow you to obtain the letter of invitation in 5 minutes. In this post I’ll explain how to do it. One question I get asked very often is how to get the invitation letter if you are staying in Airbnb apartments, or similar platforms like Wimdu, Tripping, CouchSurfing, Interhome, HomeAway, VRBO or HomeStay. 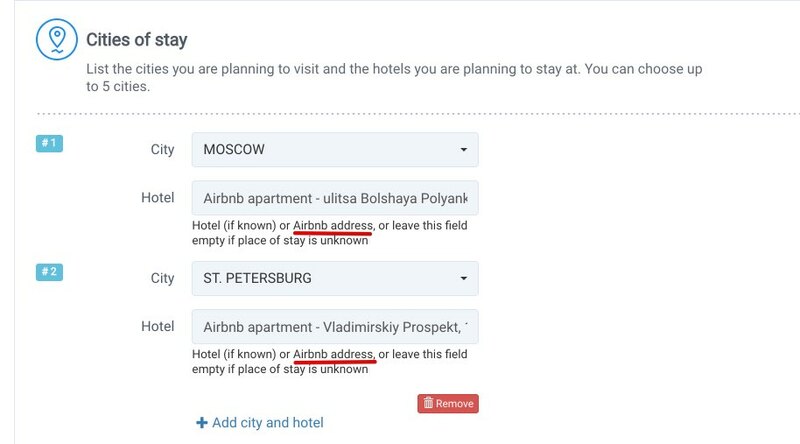 Getting an invitation letter or visa support to Russia, if you are staying in Airbnb apartments (or similar platforms) is as simple as getting it if you stay in hotels. Apartment hosts can’t issue tourist invitations. 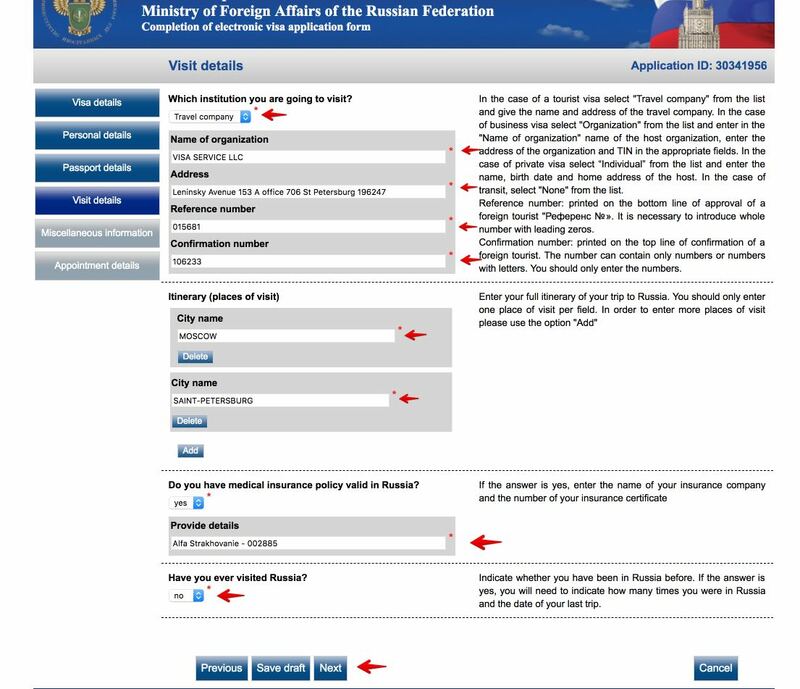 Only authorized hotels or Russian tour operators can issue tourist invitation letters. In some cases, the apartment hosts can get you an invitation letter through one of these tour operators or authorized agencies, in exchange for a price. However, it is quite frequent that the hosts are not willing to perform this procedure. Also, if you are staying in apartments in several cities, you will have to request a letter of invitation to each of the hosts. This involves time and money. However, if you want to get the invitation letter in 5 minutes in PDF format ready to print, it is best to request it directly from one of these authorized Russian tour operators. 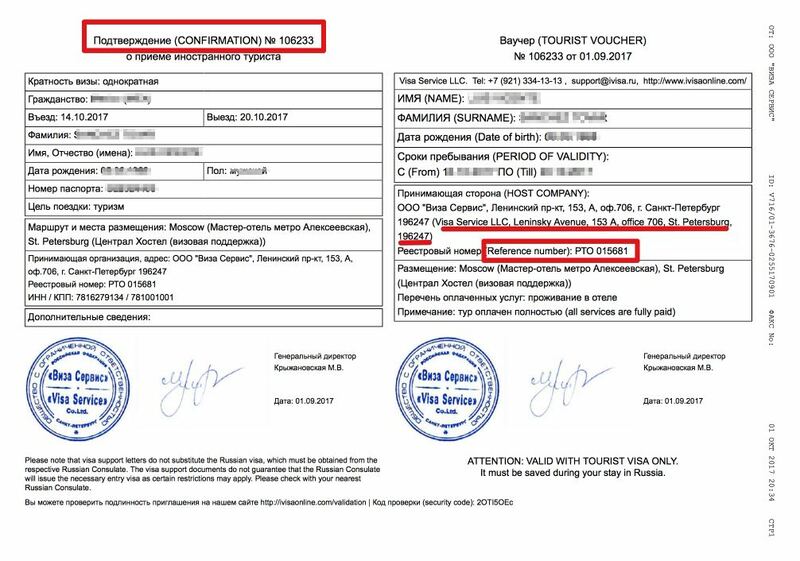 For this, I have used several of these three Russian tour operators on different occasions: iVisa, Russia Support and HotelsPro. The price of the invitation letter is around 16-17 euros. Obviously the first thing will be to book your accommodation on Airbnb or similar platforms like HomeAway, Wimdu, Intehome, etc. Once the reservation is made, you will have to look at only one piece of information: the address of your apartment. 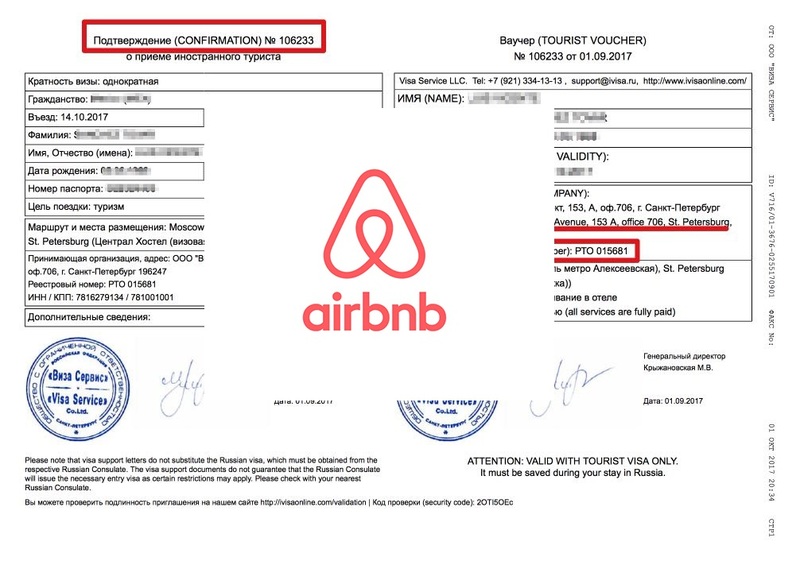 Below you can see a confirmed real reservation of an Airbnb apartment in Moscow. The address of this apartment is: Ulitsa Bolshaya Polyanka, 30. 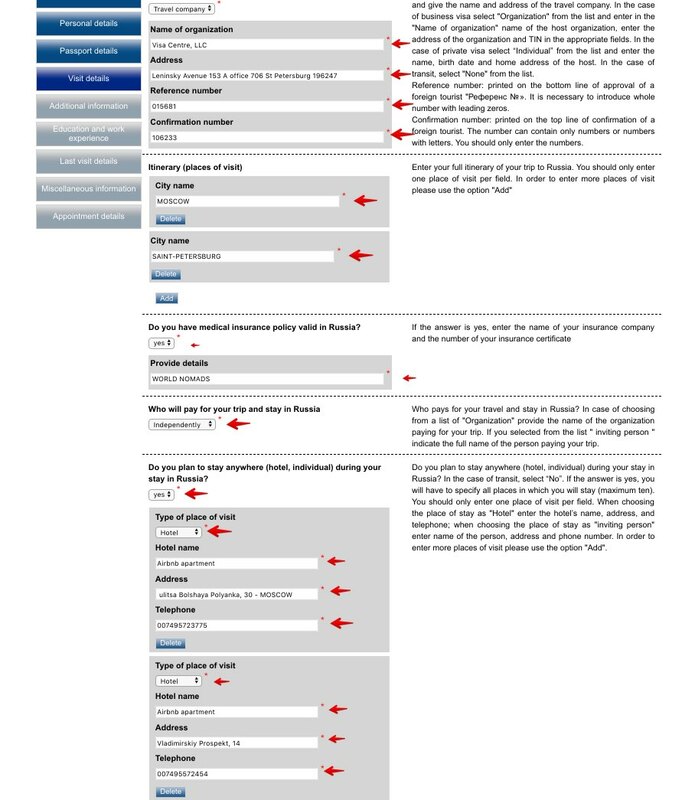 As you can see, in this application form it is not necessary to indicate the name of the accommodation, only the information of the authorized agency that invites you (in the example, Visa Service LLC) and the cities that you will visit. 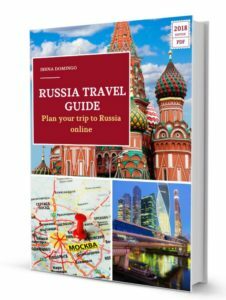 If you have booked Airbnb apartments for your trip to Russia, I hope this article has been useful, so you can get your invitation letter quickly and economically.